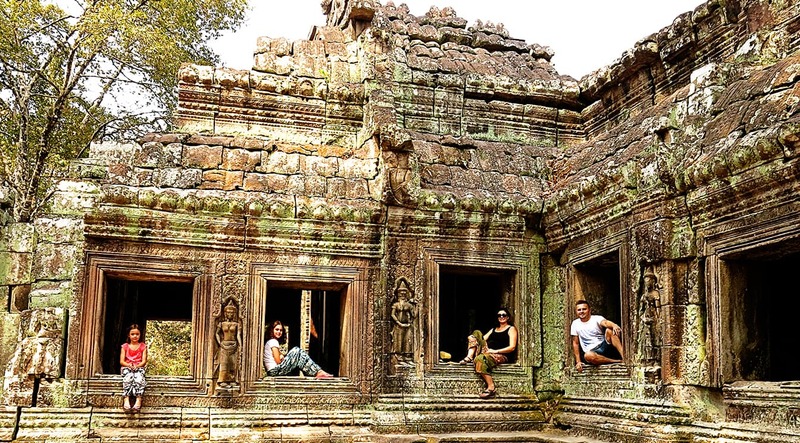 After exploring Siem Reap and Phnom Penh (read our post on how to get from Siem Reap to Phnom Penh here) you might wish to get away from the busy city and to explore some of the smaller towns or countryside within Cambodia. A popular choice from your base at Phnom Penh would be to head to either the sleepy seaside town of Kep or to head to the charming riverside town of Kampot. Transportation and transfers from Phnom Penh to Kampot and Kep are super easy and pain-free to organise! Choices are mainly between either taxi, mini-bus or coach transfer. As we were traveling with our kids, safety and convenience played in big part in our decision on which transfer method we wanted to use. Kampot is the larger town of the two and set in a beautiful setting next to Praek Tuek Chhu river with a backdrop over Elephant Mountains in the distance! The main attraction in this town is the river itself from where you can partake in a variety of different activities. We thoroughly enjoyed our river cruise at night to see the magical fireflies and bioluminescent plankton! The town itself has loads of charm and rustic beauty. Kep, on the other hand, is a tiny, sleepy coastal province known for its crab dishes as well as its access to gorgeous tropical islands. The town itself has lots of crumbling villas from its former glory as a French colonial resort town. We loved watching the activity at the Crab Markets and recommend a hop over to Rabbit Island from here. To read more about Rabbit Island, click to read our story here. 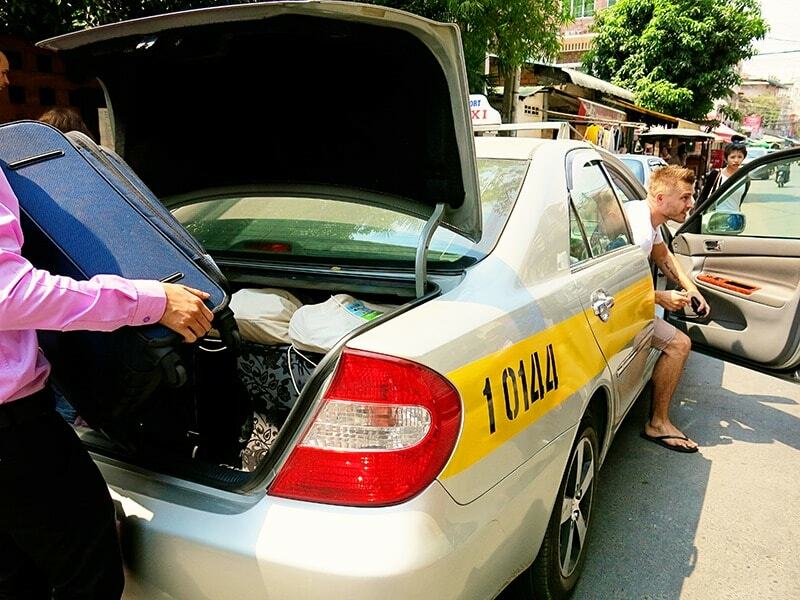 We chose to use this method of transfer as we did not want to pay $100 for a van taxi transfer! The recommended bus option for this journey of 2.5 – 3 hours is definitely Giant Ibis. They are the newest company and base their travels around safety rather than just racing at a ridiculous speed to get from Phnom Penh to Kampot. Giant Ibis runs two scheduled bus trips from Phnom Penh to Kampot per day, however, they do not travel from Phnom Penh to Kep at all. This bus company offers comfortable reclining seats with seat belts and power outlets to keep your electronics charged up. They widely advertise their WiFi services, however, we have seen way too many complaints about WiFi not being available for that claim to be reliable. You can purchase tickets easily from any tour company around the city, your hotel will be able to help you out with organising tickets too. We just bought our tickets online, that way we could choose our own seats, it was an easy straightforward process. 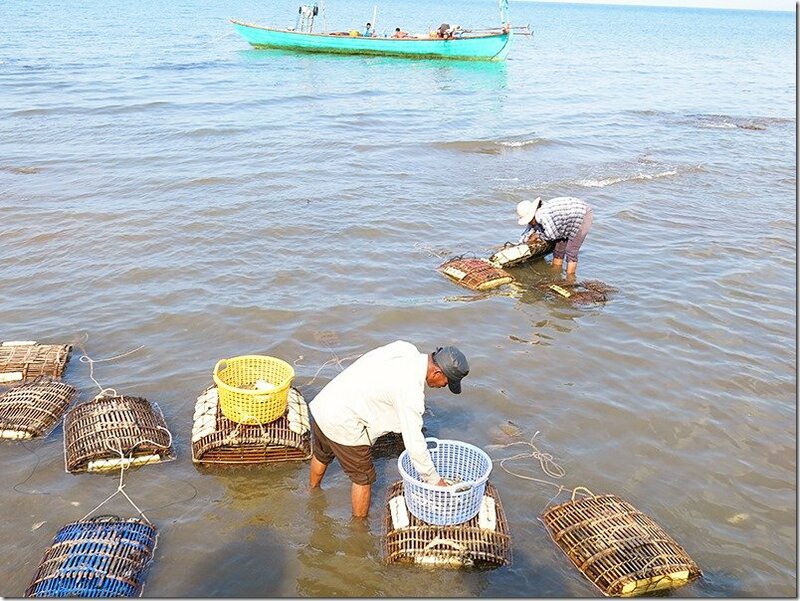 If you wish to travel on further to Kep itself, you will need to catch a taxi (around US $20) or tuk-tuk (US $12-15). We had actually bought tickets on Giant Ibis as we were planning to travel straight from Phnom Penh to Kampot with only a day trip to Kep. However we did not fall in love with Phnom Penh as much as we thought we would, so decided to cut our time short and head down to Kep for an overnight stay instead. So we lost our money on the bus tickets (they are happy to move dates on tickets, but there were no seats available), so we had the ability to test drive another company altogether. 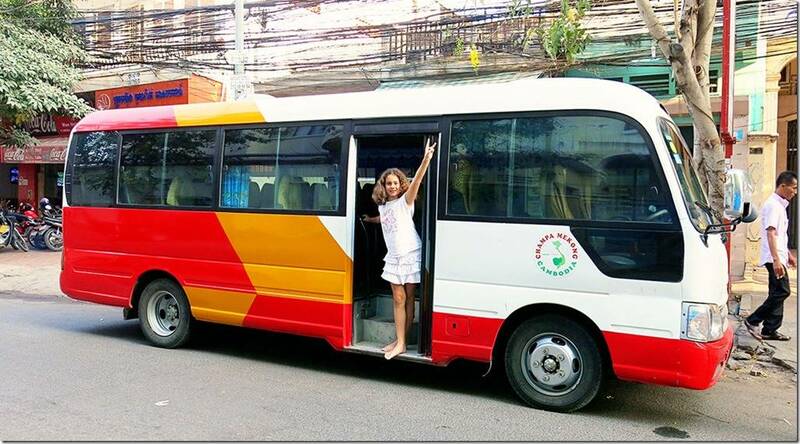 We were after a bus service that would take us from our hotel to Kep itself, so ended up choosing a mini-bus company. Mini-buses are convenient as they travel faster than the large coach style buses. Unfortunately for us, it also meant that at times I was wondering if we would get to Kep alive! Again there are several different companies to choose from here, depending on where you would like to go. 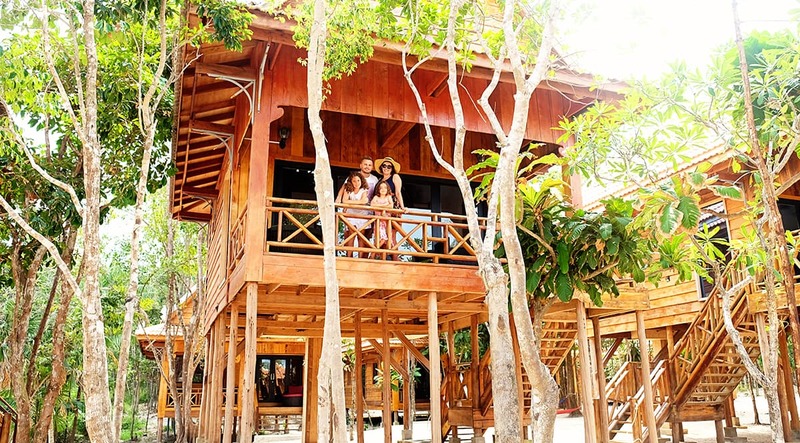 If traveling from Phnom Penh to Kampot, our recommendations would be to stick with Giant Ibis. The trip takes 2.5 hours. As we were travelling from Phnom Penh straight to Kep, we had to find a different company and ended up settling with Champa Mekong Mini-Van. Tickets will set you back around US$8 per person. You can book them here. We mainly chose them as the hotel receptionist told us that they have new buses with seatbelts. However, what we got was anything from new and no seatbelts were in sight! We still had aircon, but leg space was limited. The driver emphasized getting there in record time and did not speak English. Our daughter was feeling sick and we were lucky that someone on the bus could translate in order to tell the bus driver to stop at the closest toilet. They did pick us up from our hotel (in a Tuk Tuk), but we were left waiting around 30 min for the bus to arrive at the head office. The journey took us 3.5 hours and we also had to change buses altogether at Kampot, which is where we got into one very ‘hippie’ style van, with no aircon. So I’m not sure I would recommend them in the long run, but we did make the journey safe and sound so I will leave the decision up to you. It might be worth your while to have a look at various other options available on the BookMeBus.com site. Choosing to make the journey by taxi will cut down on your time on the road. Taxi’s (can fit 4 passengers) costs around $45 – $65 for the journey, do make sure you arrange a set price before you hop into your taxi! 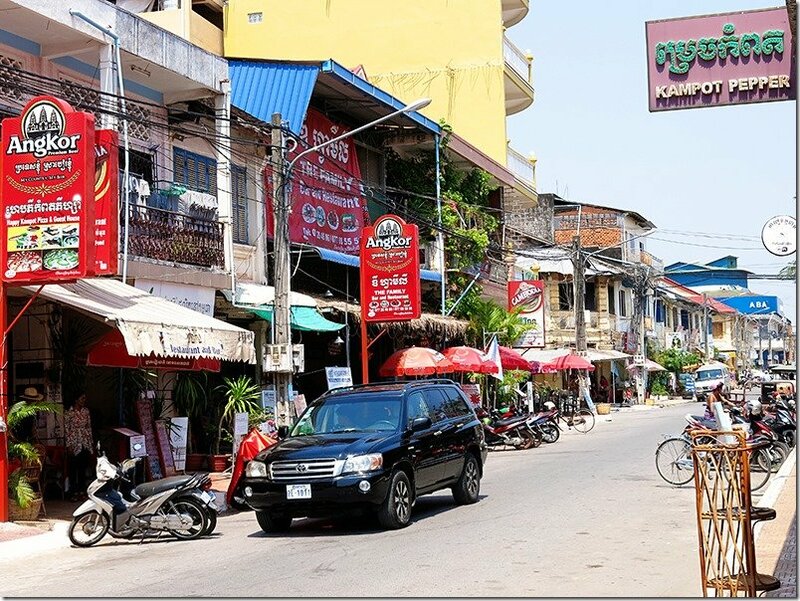 The journey from Phnom Penh to Kampot by taxi will take you around 2.5 – 3 hours, of course, that means that they drive at a faster speed than the buses. 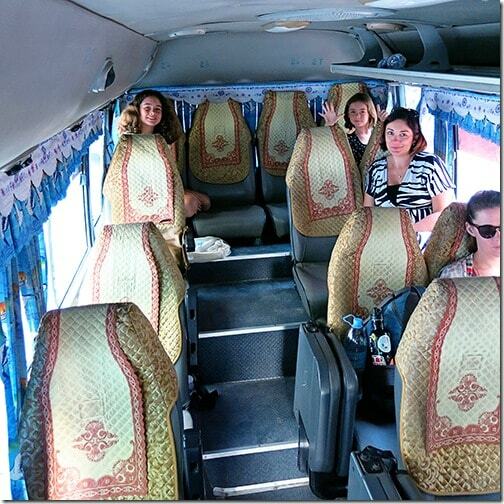 To get from Kampot to Kep by taxi will take you an additional 25 min from Kampot. You can still get the drive for around $65 from Phnom Penh if you organise to go straight there. It is important to inquire with your taxi driver whether they need to make stops on the way as they love building deliveries into the transfer service which will add time to your travel duration! You might need to pay the higher price to get a straight transfer without stops. >> Click here to organize your taxi online! 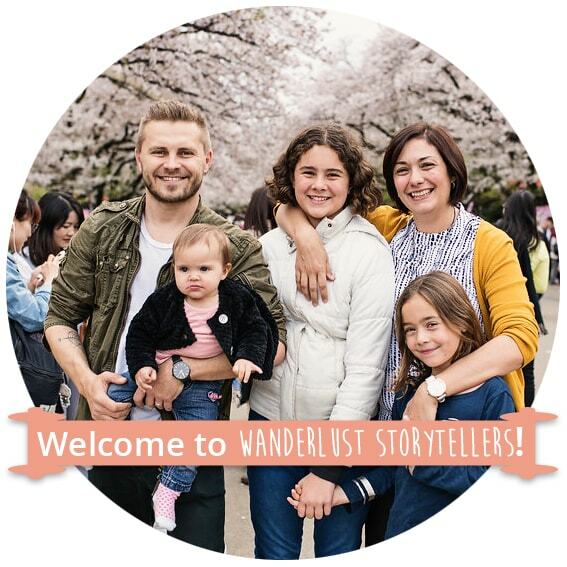 Van Taxies are more suitable for families or those with more baggage, don’t assume that they all have seatbelts, so do enquire if this is important to you. They cost around $100, so best to negotiate your price before you leave or organise it through your hotel. Times will be similar as per normal taxi above. >> Click here to organize your van taxi online! You can see which luggage we prefer using in our travel gear hub. 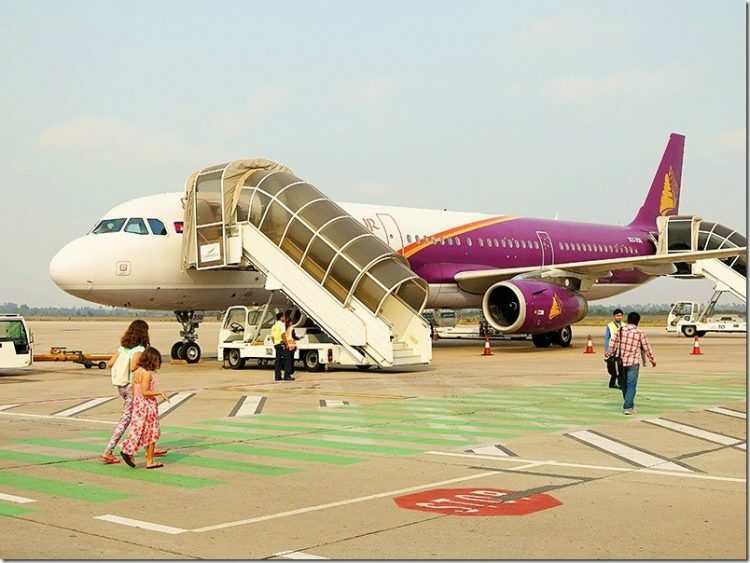 Happy travels and safe journey from Phnom Penh to Kampot and Kep! The trip is worth the destination!! For more stories about Cambodia, click here.